Sri Lanka has not got its due position in the world as it has created its own downfall due to challenges created on many fronts for decades. Seventy years of bad political and administrative decisions along with pure self-centric segments of the business community are all responsible for the many lost opportunities to market destination Sri Lanka. As a result, the people of this country are continuing to suffer and poverty remains the largest problem. The time has come to change this and look at destination marketing as a tool to change our fortunes. I am of the view that the people who have the authority and the power to do destination marketing have overestimated our position and its visibility world over and expect results to come automatically whilst we have never reached the markets and the investors with a forceful message as we should have done, except for few selected industries. On the other hand, the country remains a very attractive destination in many areas other than tourism whilst the world is not aware of its strengths. One thing I can speak about with confidence is the area of logistics, which we have never marketed to the outside world. I am trying to promote this area with a focused marketing and image-building effort through the Colombo International Logistics Conference 2019 and am now in the process of getting all stakeholders to use this platform and to partner this initiative which will have multiple benefits to many business segments. Ten years have lapsed since the end of a brutal terrorist assault on the country. Both the industry and the Government should first look inwards and ask whether we have done enough justice to our country in terms of making it as a global hub for investors who are looking for new opportunities. I can remember in 2015, the President and the new Government promised a Singapore’s “Temasek” based model to turn around the country’s investment climate. Another proposal was to eliminate silo-based country promotion by combining the marketing and promotional roles of Tourism Authority, Board of Investment and the Export Development Board being amalgamated for a period of three years for targeted action with a common agenda. However nothing materialised, and we remain in the same old model with many ministries and departments acting individually and, in many cases, events are overlapping due to lack of a coordinating body. I’m sure a lot of public resources are wasted and cross industry requirements are not understood and at the end of the day the objectives are lost. 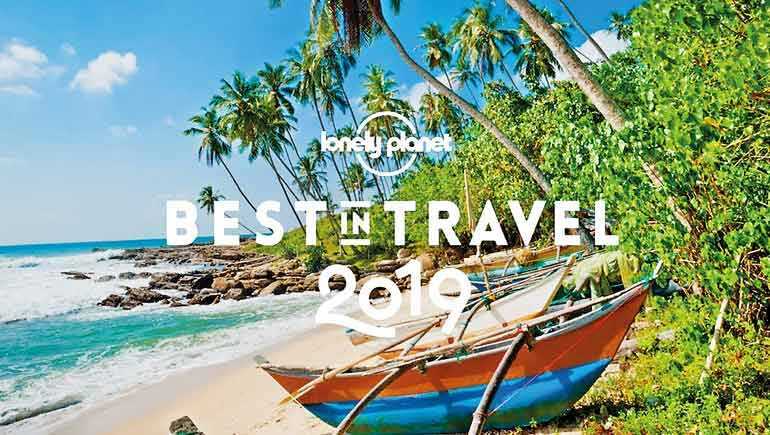 Lonely Planet has put our country in the spotlight as the number one destination for 2019. It is a golden opportunity for us to start destination marketing not as an individual organisation or a Government ministry, but as ‘Project Sri Lanka,’ where we must build the country’s image more than ever before. Political events in the last few months dented our nation’s image further whether we like it or not and we have to do our marketing to correct the wrong perceptions of our country. I need not spell out what our strengths are. We all know as individual industries what we can do to help the economy grow by attracting external investments at a time when we need fundamental strengthening of foreign reserves.The upcoming Budget should prioritise its position to promote Sri Lanka and its image and give the needed attention and funds to market destination Sri Lanka beyond 2020. It is vital that a joint public-private initiative be established with key ministries working along with the industry professionals to strengthen and provide necessary support for sectorial promotions to the world. Ministries including Finance, International Trade, Foreign Affairs, Tourism, Aviation, and Ports and Shipping all should work towards an inclusive agenda so that trade missions, exhibitions, etc. should be coordinated for a common agenda with a target. The message is clear, this article should not confuse anybody. In the national interest it is vital that all forces join hands to promote destination Sri Lanka which will have positive effects and be a multiplier effect to the country’s economy and its people. I also request the private sector associations and chambers to work in hand-in-glove when promoting the country without working in isolation. Singlehandedly we will not achieve the long-term objectives we need to fulfil. Therefore, destination marketing must be considered as everybody’s business.